Welcome back to the series for the half-honest cheaters among us, those who always say “oh yeah, great story” whenever the classics are mentioned, but have only experienced them in front of the TV set. Few have called me out to date, so I dare to continue by looking at the classic book which most directly confronts a central fantasy theme, the question of humanity in a genre filled with other races, extraordinary beings, monsters, creatures and life in all its forms. Writers of epic and heroic fantasy have choices. What makes a being human? Why do we sympathize with a character of a different race? What defines us as humans? 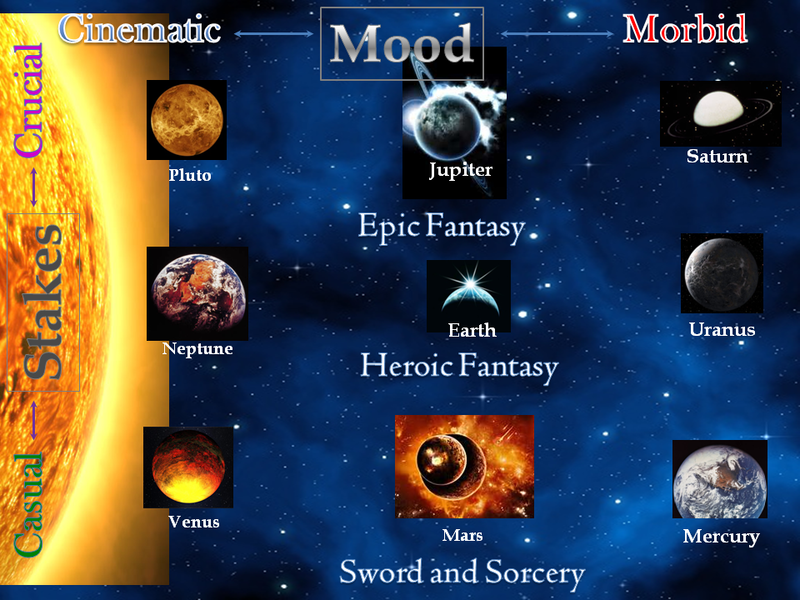 This is a theme that’s almost the exclusive preserve of fantasy and science fiction (not counting those soap operas where someone cries out metaphorically “you’re an inhuman monster!”). A big advantage of epic fantasy is you can have a race that’s incorrigibly, irreversibly evil- Orcs, Trolls, shades, zombies, however you see it the heroes don’t have to exercise restraint. Just rear back and wail on them: they aren’t “human”. By the same token, you can have people three feet tall destined to live 150 years hobnobbing with a race twice their height of immortal stature. Yet, we get it- they’re on the right side and we can see the story through their eyes. But what is it that makes them this way? Where is that line drawn? Here’s your guide book: The Island of Doctor Moreau. Throughout the work, he uses just enough words to scrape your nerves raw. And he leaves you nowhere to turn sympathetically, because this piece has no heroes in it. The main character Prendick (a simply awful name, maybe Wells’ only misstep) is vacillating and fearful, the assistant Montgomery is an undisciplined, vulgar drunk, and Moreau… Wells really broke through here, with a character who perfectly embodies the sterile, driven, uber-rational and ultimately INhuman scientist. Moreau bitterly regrets the lost hour spent saving Prendick’s life when he is marooned, shows not one scrap of sympathy for anyone or anything, yet has no real anger, no passion and of course not a drop of love in him. I re-read the conversation between Moreau and Prendick when it finally comes to light what the doctor is doing to animals; there’s a heat-wave in my state right now, and I tell you it was better than air conditioning. I have seldom felt such a chill, to read of a man so dispassionately determined to inflict agony on his victims, brushing aside any objection based on mercy, or decency, in order to get one hour further into his personal understanding of the morphing of animal forms to something closer to “human”- as if there was a scrap of real humanity in him to start with. Moreau stabs his own leg with a penknife to demonstrate that he has severed all the pain-endings in his own body. I couldn’t read through it fast enough. Next thing you know, the MC is among the Beast-Men, and now the creepiness really begins. The tale assumes that the essential intelligence and rationality of a human being are largely locked up inside every kind of animal- Moreau makes a passing reference to changes in the brain that he’s able to add- so they all talk and understand. There’s a constant pull in them, though, back to their beastly natures- they live in a ravine and endlessly recite The Law to keep themselves on track. “Not to walk on all fours- that is The Law” one chants, and the rest respond “Are we not Men?” The parallel to religion is both unmistakable and pretty depressing- as Wells himself called the tale, “youthful blasphemy” indeed. The boats wrecked, the guns low on bullets, Prendick lives among the Beast-Men as just a less hairy, somewhat more upright and high-talking animal. The Law slowly dissolves and his life is surely forfeit, but Providence intervenes and his journal survives for us to read. Maybe Prendick survives too- I’ll leave it to you to decide. Time for a true confession from me- I have only seen clips of the movie-versions for this ghastly tale. The 1977 issue with Burt Lancaster and Michael York is as dated as you might expect, and what little I saw of the Marlon Brando-doctor almost made me nostalgic for Jor-El. But here’s a good clip that demonstrates the horror our protagonist (played by York) is supposed to feel, and giving a pretty good sense of the power of The Law. But, But, Gotta’ Have a MOVIE! Stirring animal passions- as if the original tale wasn’t enough? By the way, York’s character is Andrew Braddock, a massive improvement over the name Edward Prendick. 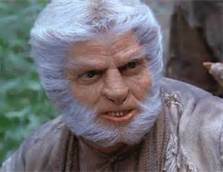 And Burt Lancaster’s Moreau has some ethics, a noble goal. The original is horribly amoral, makes C.S. Lewis’s Dr. Weston look like the Salvation Army. One nice bit of trivia- in Well’s original story, Prendick spends a fair amount of time suspecting that Moreau is transforming people into animals, rather than the other way around. In the movies, and some other versions seen around pop culture- I think of cartoon episodes like Thundarr the Barbarian and Batman– this is explored. But they only have twenty minutes, so I don’t see that they come to much of a different conclusion than Wells did. It’s better to be dead than a Beast-Man: and it’s better to be a dead Beast-Man than Dr. Moreau. I downloaded the book from Kindle’s free classics (reference below) and I must say, it’s a steal at that price. You clip along at a race-car pace and my progress was all the faster since I have it on my phone as well as the PC- and they sync whenever I switch from one to the other. I’ve already praised the dictionary feature- “Apia?” one click and now you know what the capital of Samoa is. 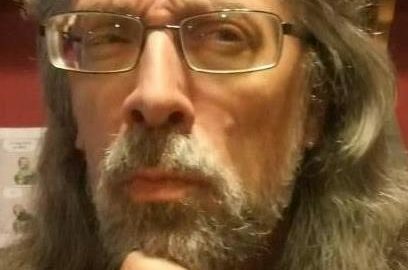 Some formatting issues and the old habit of not putting new quote marks at the start of each paragraph sometimes confused me as to who was speaking, or whether we had reverted to internal narration. But Wells’ words must be read to fully appreciate his mastery- you can say the same of all the sci-fi classics he’s responsible for, and their constant translation into movies, TV episodes, and other genres testifies to his genius. I don’t see where Wells gives us a clear distinction of what makes a being a human being- he focuses more on the many ways we can be dishonorable and unworthy of the title. The Beast-Men speak, think, laugh, marry… he sets no standard as to what crosses that important line. As the Beast-Men lose their way, they revert to all-fours and their speech becomes horribly softened and slower; but Prendick still sees in their eyes the fear of what is slipping away, and the knowledge they still have locked up inside their mute mouths. The Greeks would have agreed, saying that man is different from the world’s animals because they look down toward the ground, but we look up at the stars. In the Lands of Hope some remnants of irredeemably evil, inhuman races exist, garruk and undead and others in the distant corners of the kingdoms. Created by Despair’s Lieges, they seek only to destroy and can be resisted with every effort of body and mind: no one believes they have souls, least of all themselves (though some are rational and have speech). Rare indeed would be the sage to argue that a garruk or a grinaki were human. Then too the Lands once were ruled by evil men and elves, the Children of Despair (centuries earlier, when they occupied the world), who outwardly look like the Land’s Hopeful inhabitants. They were literally born to Despair, raised to believe that the powerful deserve to prosper while the weak suffer, and sought in those days with every breath and plan to put themselves above others and receive that comfort or at least inflict that pain. They would not hesitate to experiment as Moreau did- and I can assure you, had Wells’ suppositions been proven out by science, there would have been no shortage of mid-20th century doctors to do so either. But in the more recent history of the Lands there are others, born to Hope who have turned to evil, albeit on a much more mundane level. Criminals and conspirators, a few- the Law deals with them, following procedure and restraint in recognition of their humanity. Do the Children of Despair give second chances? Do they believe in a soul, or redemption even by their own twisted guides? None have said, at least not to me. But I doubt it. To my mind it is in the ability to forgive, to accord a second chance, that humans can distinguish their efforts from those of the beasts. Animals can show affection, but seldom if ever mercy. And if I err in this judgment, I hope I may be forgiven by you dear reader. Like Wells, I hope or I could not live. As for my mistakes- I’m only human. -Wells, H. G. (Herbert George) (2004-10-14). 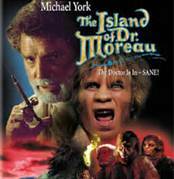 The Island of Doctor Moreau . Public Domain Books. Kindle Edition.